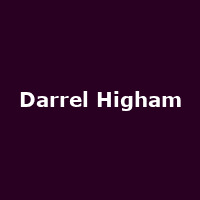 Darrel Higham is an English rockabilly guitarist and founder member of the Kat Men. He was previously married to Imelda May and was the guitarist in her band. Albums include solo releases as well as albums as part of As Darrel Higham and The Enforcers and As Bob & The Bearcats.